Azerbaijani Ambassador to Kyrgyzstan Hidayat Orujov has met with head of the Foreign Policy Department of the Kyrgyz Presidential Administration Daniyar Sidikov to discuss bilateral relations. 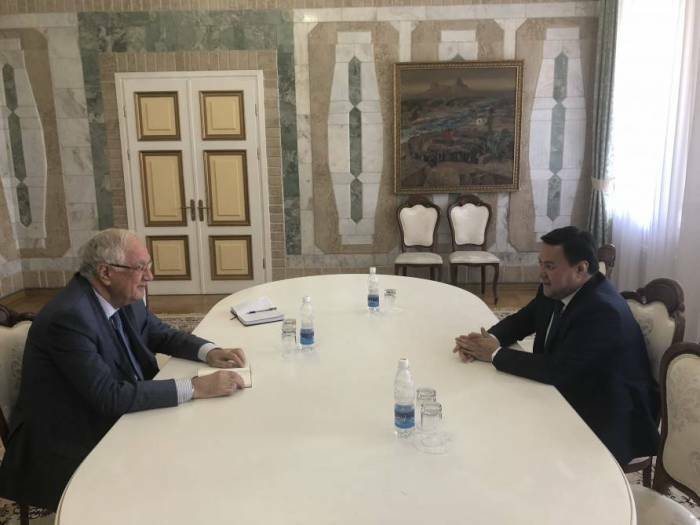 Sidikov said he hopes that 6th Summit of the Cooperation Council of Turkic Speaking States (CCTS) to be held in Kyrgyzstan on September 3 will be the beginning of a new phase in the development of relations between the two brotherly Turkic states. Orujov mentioned that the Azerbaijan-Kyrgyzstan bilateral relations are developing successfully and that there is a great potential for expanding this cooperation in various fields, including in economic one. 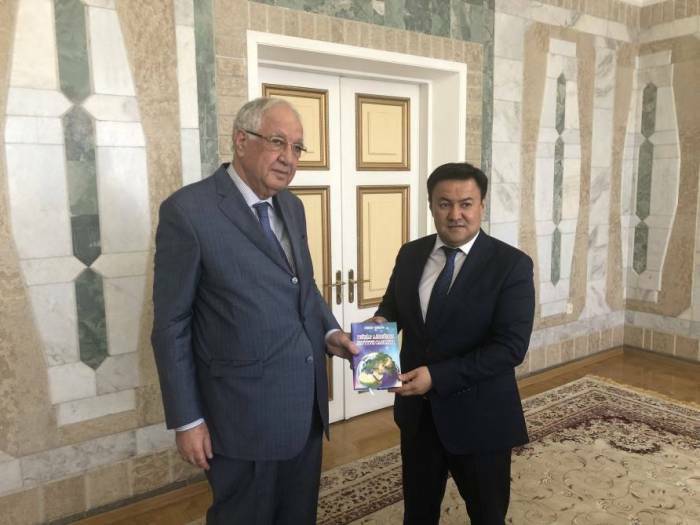 Noting that the prominent writer and public figure of the Turkic world Chingiz Aitmatov is very popular in Azerbaijan, the ambassador said that the 80th and 85th jubilees of the writer were held at the highest level in Azerbaijan under instructions of President Ilham Aliyev. He also said that this year a series of events to commemorate 90th anniversary of the writer are expected to be held in the country.